Our Saki pouch is a passepartout bag for all day. As spacious as you need, keep inside your pet’s precious belongings and use it as a pochette for your sunscreen, phone, keys and other essentials. Waterproof and made of custom Ohhhmydog printed polymix canvas, it features one print on the outside and another one on the inside. Being the right size for everything you need to hold while on a walk with your four legged friend, travelling by day or partying at night, Saki pouch is an all day clutch you need to have. 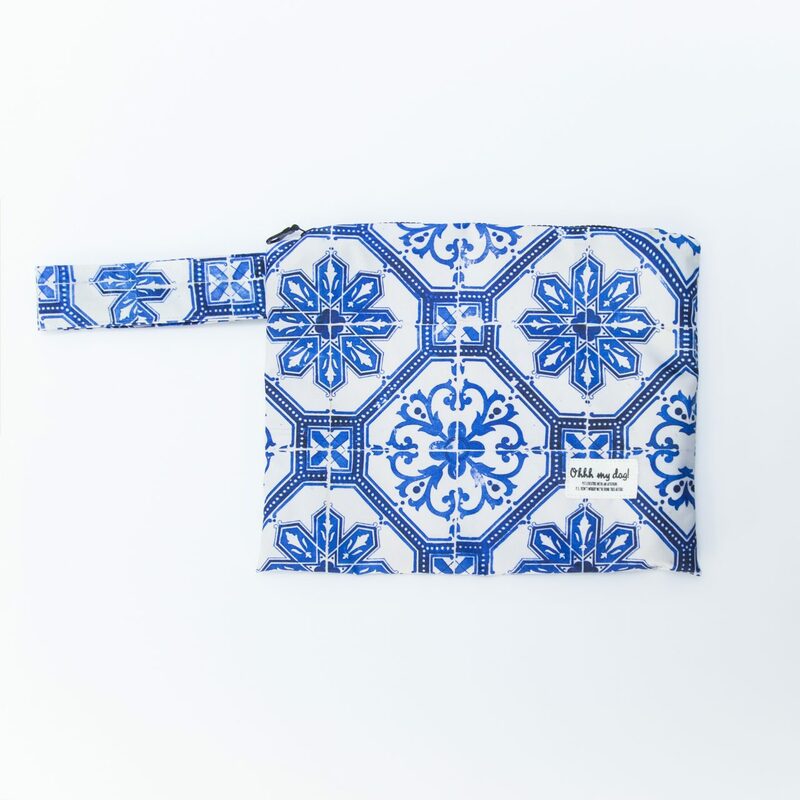 Pair it with your pet’s bandana, bowtie, travel bowl and bed or maybe your Sakos bag from our collection of matching prints or make your own combinations. We recommend hand wash. Use your hands, a clean sponge and a mild soap. Rub it gently in cold water and then rinse it well & air dry. Remember, all our products are handmade from premium eco-friendly materials, with love in Greece. Handle with tenderness, hand wash only, knock on wood for good luck and enjoy the company of your beloved pet.